Arsenal have been credited with interest in Inter Milan forward Ivan Perisic with the Serie A club prepared to offload him this month. With 18 months left to run on the 29-year-old’s contract, its thought that Inter are willing to listen to offers for the Croatian before the January transfer window closes next week. Manchester United have previously been linked with a move for Perisic and remains a possible destination for the forward. However, a move this month looks unlikely as the Red Devils are focused on extending Anthony Martial’s stay at Old Trafford. Italian publication Corriere della Serra (via InsideFutbol) claim there are several Premier League clubs keen on the Croatia international and Arsenal are one of them. The Gunners are however working on tight restrictions with Unai Emery only able to make deals in the loan market. However, Arsenal may still be able to secure Perisic’s signature on loan this January with a view to a permanent deal this summer which Inter would be interested in – so long as the £35million asking-price is met. 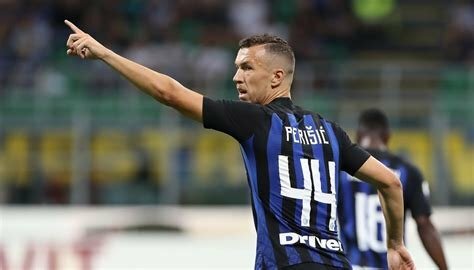 Bayern Munich are also believed to be interested, but Inter are yet to receive a concrete offer for Perisic.